Maybe you want to build a design system. Maybe you don’t. Maybe you have no idea what one is. Regardless of where you’re at on the scale, you need one. Does your life depend on it? Well, no probably not. But does the success of your product or brand depend on it? Yes, it does! How do we solve the world’s problems with one? Well, it may not save the world, but a design system will certainly save the day for your users, designers, developers, and anyone else interacting with your product. Simply put, a design system is a set of standards, or guidelines, on how things are to be implemented. You may have heard of things like Brand Standards, or Style Guides, or Component Libraries, or even Pattern Libraries. In many ways, these things are all very similar, but a Design System is something larger, more all-encompassing, and may contain any or all of these. A Design System is a roadmap for a brand, a company, a product, or perhaps all three if the situation calls for it. It outlines best practices and standards for everything from brand personality, to voice and tone, to visual specs. The biggest benefit of having a Design System is consistency. Confusion plummets, and efficiency skyrockets when elements are repeated, predictable, and reliable. When designing for scale, consistency is crucial. Working from a Design System means collaboration that makes sense. No longer does redundant communication need to eat away time. When multiple teams are coming together to work on a project, or maybe several projects in tandem, there are often numerous email chains that crop up. Often an answer requires digging through assets, or—in unfortunate but not uncommon circumstances—a wild guess. A living, breathing Design System ends this nonsense by standing as a pillar of truth and consistency. It closes the loop of endlessly sifting through folders, and it means there’s no need to reinvent the wheel (and have it look slightly different every time). When new members are brought in to a team, the task of bringing them up to speed can seem daunting. With a Design System, it doesn’t have to be. Having guidelines already established helps reduce the fear of mistakes. Instead of wondering if they’re doing things correctly, or whether or not “the ways things have always been done” is the way things should always be done, they have a point of reference to rely on. A Design System makes it clear when to follow established methods and when to get creative. A Design System makes the repetitive simple, and in turn, frees up bandwidth to focus on other issues. Simply put, make one input form and be done. Move on! Your brand and your business should be unique, but not every button and component in your product needs to be. Right then, Design Systems are great; we all agree. Now, where in the world do we start? The first question to ask is “How far do you want to go?” Not all Design Systems are created equal, and that’s perfectly okay. Before jumping into the trenches of documentation, establish who this document is for. Is it a visual guide to streamline workflow for your designers and developers? Are you hoping to encompass an entire brand or just a product? Do these standards apply company-wide, or only to specific teams? Establishing these criteria from the start means content included will be limited to solely that which is relevant while taking into account topics that might otherwise be overlooked. Holy Grail Design System Mantra: Include what’s necessary, forget the rest. It’s natural to want to jump right in with outlining specifications for colors and typography and logos and all that jazz. After all, these things are likely already established, so it seems like the perfect place to get started. Before setting sail on this epic journey, though, we need to make the decisions all others will stem out of. This includes specifying things like core company ideals, values, and objectives. Having these from the beginning unifies the entire process because rather than asking, “Is this the best solution?” at every step, we can instead ask, “Does this solution achieve our core objectives?”. Rather than trying to reach this vague, undefined level of perfection, decisions are kept focused and direct. If you’re the type of person who finds the thought of being locked in a disorganized room, armed with a label maker therapeutic (I’m one of them), then you might be tempted to include every possible ounce of documentation in your Design System. I’m here to tell you to resist that urge. Think back to the group of people who this is intended for. Do they really need to know the exact spacing values for every minute detail, or will a standard grid system work just as effectively? By making things as straightforward and consistent as possible, you increase the odds of your Design System being correctly implemented across the board. Guidelines should be specific enough to keep everyone on the same path, but it shouldn’t be so burdened with details that it dictates their every step. 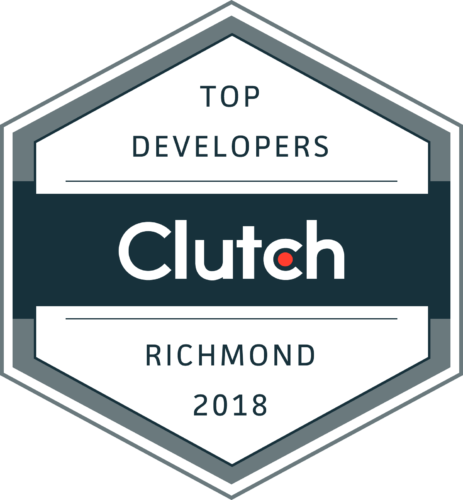 Here at Shockoe, our Design system is named “Monster”, and that’s a pretty accurate description. Creating a Design System can sometimes feel like taming a wild beast, but I guarantee it will be worth it. Your designers will love you, your developers will thank you, your content writers will want to shake your hand, and above all, your customers will praise the rising level of quality within your products. 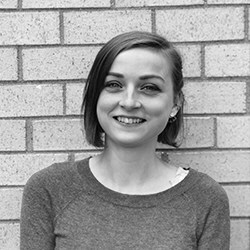 Hannah is a UX/UI Designer with a passion for all things creative and a penchant for the whimsical. If she’s not at her desk designing the next rad app, she’s probably off painting, or drawing, or drafting her third novel! Fueled by an overactive imagination and copious amounts of tea, her goal is simple: elevating the human experience through tech.